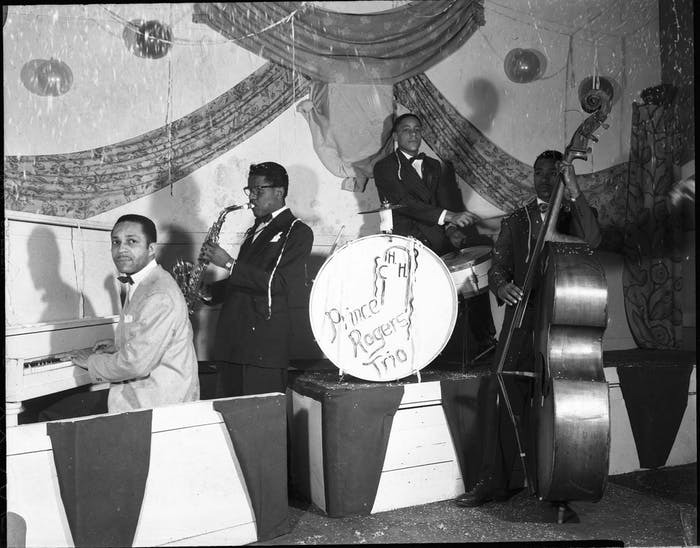 Double Exposure: Images of Black Minnesota in the 1940s (Minnesota Historical Society Press) is more than merely a book of pictures; it chronicles a community, preserving the vitality of a historic era. 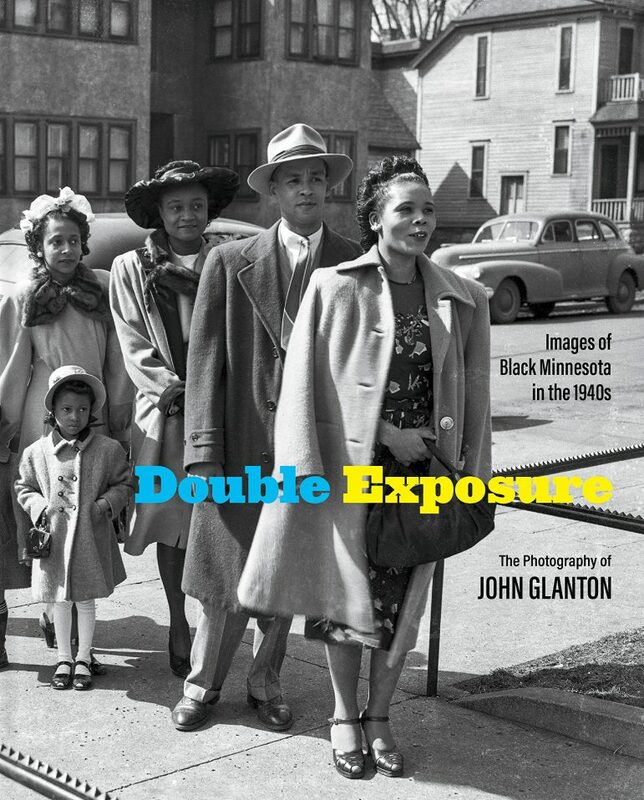 Those for whom Double Exposure resonates will appreciate, indeed, admire the compelling authenticity by which photographer John F. Glanton captured an unprecedented window, lensing this bygone Twin Cities era. Glanton worked as an engineer for the Minnesota Highway Department and, among his assigned tasks, surveyed what would become Highway 35. Beyond earning a living to support himself and his family, Glanton had a passion for taking in life around him and putting it on film. 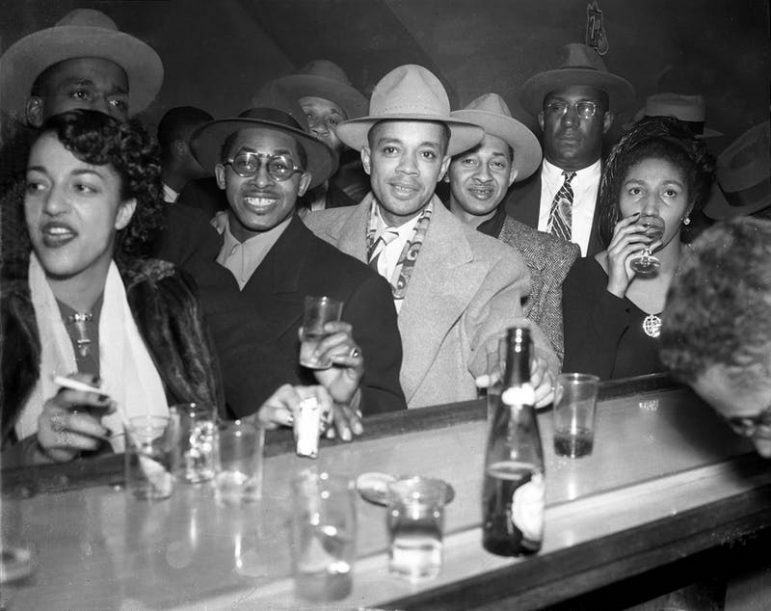 He shot on the streets, in parks, clubs, restaurants and private homes of Minneapolis, documenting everyday people’s leisure, as well as subjects who were larger than life, including luminaries like Nat “King” Cole and then-mayor Hubert H. Humphrey. For the most part, his subjects were simple folk relaxing with easy smiles, conveying a warm, timeless sense of community. Gentlemen were dapper in sharp suits and ladies wore lovely dresses in styles of the day. Throughout the 143 pages, we also see him capturing images of the Prince Rogers Trio (Prince’s father group), weddings and other festivities at then-social hub Bethesda Baptist Church — which still stands today — along with broadcasters taking a break at the former WLOL radio station and more. Scott, president of Minnesota’s Black Community Project (MBCP), came across the photos by happenstance after Glanton’s passing in 2004. A Glanton family member was cleaning out the garage and found nearly 1,000 pictures and negatives. After cleaning them up, digitizing the negatives and even helping to host meetings to identify some of the people in the photos, Glanton selected 200 images to publish. This isn’t the first time Scott served as an advocate to document African American contributions to society. He saw to it that his own father Walter Scott’s volume, The Scott Collection: Minnesota’s Black Community in the ’50s, ’60s, and ’70s, was reissued by MHSP. He also plans to publish a revised edition, Minnesota’s Black Community Project, in spring 2019. The MBCP and Minneapolis Central Library launched Double Exposure on Sat., Oct. 6 to a packed house at Doty Room in the library. After which, Anthony Scott shared with the Minnesota Spokesman-Recorder his thoughts and feelings about the project. An excerpt of that conversation appears below. MSR: What are your most memorable recollections of John Glanton? Anthony Scott: He was my wife’s uncle. Our families knew each other ever since [they] came to Minnesota. We had a lot of gatherings [with] John and his brother Wayne. They were real close along with their sister Vera [and] another brother, Jack. We were always together doing something, especially around holidays. We’d go on walks. John would take pictures with this professional looking camera. Though, at the time, we never realized. Actually, he was one of the first photographers for the Minneapolis Spokesman [and St. Paul Recorder] right after he got out of the armed service, after World War II. MSR: Why the title Double Exposure? AS: Even though the pictures were taken in the late ’40s to early ’50s — these are long lost photos. They didn’t come to light until recently — that’s why the title was chosen. MSR: What was most rewarding about how attendees received the book launch? AS: Well, the event was excellent. It was just such a great feeling. My sister, Dr. Chandra Scott was in town for it. The questions people had shows that this collection was something people were really taking to. We talked about the process of making the book available to the public. I was looking for my father’s first book, Minneapolis Beacon, done in 1956. I went to the library, of course. Well, they had it downtown. Mr. Ted Hathaway [who wrote the forward to Double Exposure] was impressed that Walter Scott was my father. They had articles and pictures of his work I’d never seen before. That started the library working with me to help reprint my dad’s book The Scott Collection. MSR: Then, came Double Exposure. MSR: You follow in your father’s footsteps as a guardian of history, community, and culture. What do you add to the legacy? AS: Hopefully, I’ll be able to continue this legacy. I think what it is, it’s an overlooked [history], especially as it reflects on [African Americans] in Minneapolis, St. Paul and, statewide. My dad had a vision showing a positive side — opposite to what you see on TV and the news about Black people. [He provided a] perspective of what community’s about, which I don’t think the general media has a real interest or had a real interest in doing. MSR: In the 1940s, that was a bold step to put forth a positive image. AS: Yeah. It really was. When I think about 1954, when I started school, it basically was illegal for Blacks to attend public schools. It was right around the time that segregation, as we know, the barriers were broken down. MSR: To call Double Exposure a labor of love understates the case. Would you like to add anything in that regard? AS: Only that we’ve been really overwhelmed by the positive responses from the community on our work. It fuels us to continue what we’re doing. For more info or to order a copy of Double Exposure, go to http://bit.ly/DoubleExposureMNHS.